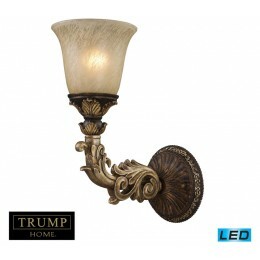 Inspired By The Scrolling Design Of The Trump Family Crest, Regency Creates A Rich And Regal Ambiance. The Solid Cast Iron Scrolls And Burnt Bronze Finish Compliments The Delicate Weathered Gold Leaf Accents And Caramel Amber Glass To Create A Dramatic And Stunning Collection. - LED Offering Up To 800 Lumens (60 Watt Equivalent) With Full Range Dimming. Includes An Easily Replaceable LED Bulb (120V). 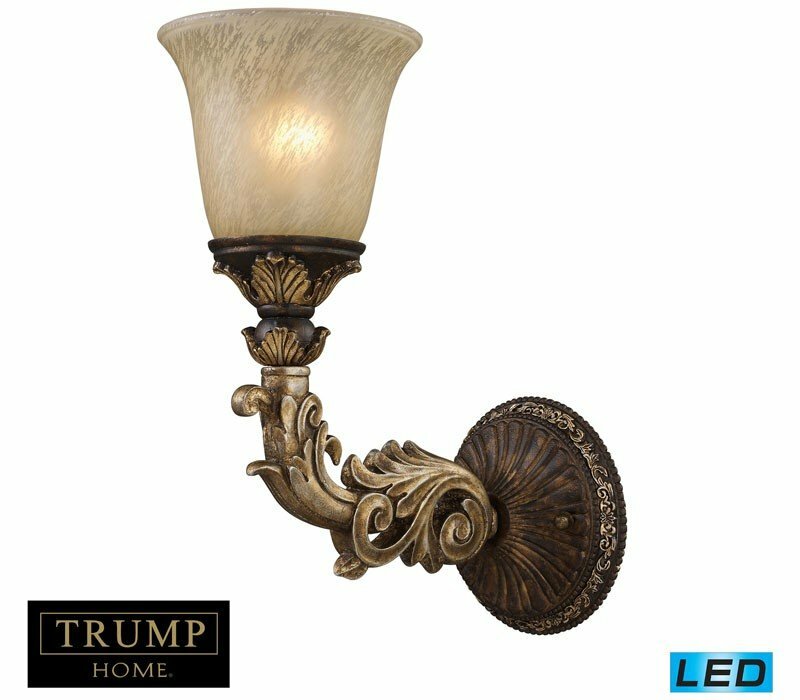 The ELK 2154/1-LED Regency collection Sconce Wall Lighting in Burnt Bronze uses LED light output and brings Antique style. The total wattage is 13.5 and the voltage is 120 volts. The ELK Lighting 2154/1-LED requires 1 bulb (included). Additional Information: Shade-Caramel Amber Glass - Type 2.